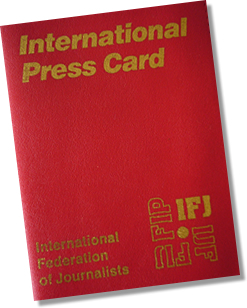 The International and European Federations of Journalists (IFJ and EFJ) are backing demands by striking journalists in Ukraine for their rights to be protected during the privatisation of their newspaper as they took their struggle to the President’s door. Staff at daily newspaper Vilnym Shliakhom in Kivertsi today protested at the gates of the Presidential administration, having already staged 10 days of strike action in protest at the failure of the authorities to protect their rights during the reorganisation. 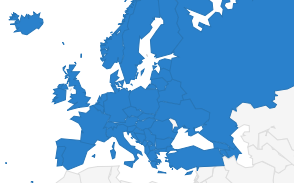 The strike by members of IFJ/EFJ affiliates the Independent Media Trade Union of Ukraine (IMTUU) and the National Union of Journalists of Ukraine (NUJU) is the first such action against the violation of their powers by the local authorities during the process of removing local newspapers from state control. Hundreds of state-run newspapers are to be privatized over the next 2 years. The increasingly bitter battle over the future of the paper escalated when its premises were attacked. During these attacks, allegedly carried out by representatives of the local authorities, the doors of the editorial office were forcibly broken, locks were changed and the newspaper’s premises were sealed. In addition fake documents and stamps were used to attempt to seize control of the paper and replace the editor and change the Charter. 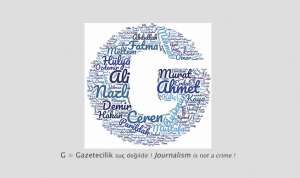 The IFJ and EFJ have already protested to the authorities about the attack and today pledged their solidarity with the striking workers and reported the case to the Council of Europe Platform for the Protection of Journalism. IFJ President Philippe Leruth said: “We stand with our colleagues at Vilnym Shliakhom. The rights of those who work for the paper must be protected. We urge the government to intervene to uphold the Constitution and the rights of the staff”. IMTUU Chair Ihor Chayka said: “Numerous requests from IMTUU and international rights organisations for the authorities to uphold the constitution and protect journalists’ rights have been ignored so we have no choice but to increase our protests and call for international solidarity to protect the rights and freedoms of journalists”.